Computers, sheets of paper and water dispensers aren’t the equipment that immediately spring to mind for cooking but Chinese YouTube sensation “Ms Yeah” is starting to change all that. 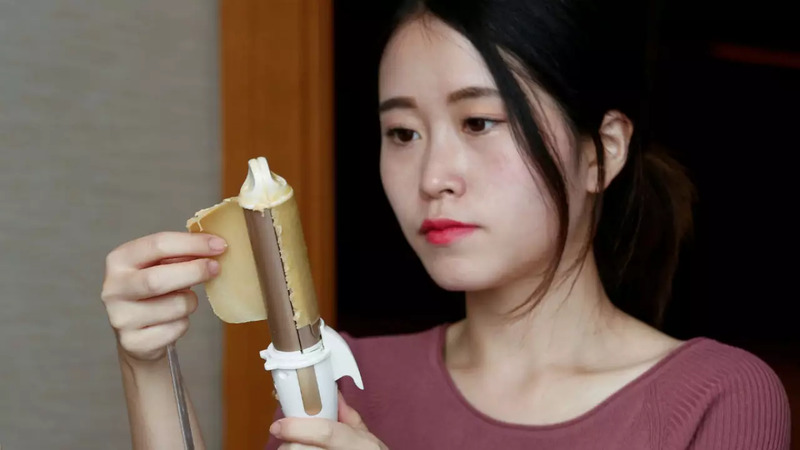 Pioneering the concept of “office cooking”, the 23-year-old internet celebrity prepares her dishes using only office supplies and uploads them to her YouTube channel, which is set to make her 50 million yuan (€6,383,898) this year. Grilling fish with copy paper, taking apart computers and using them to fry Chinese pancakes are just some of the ways she fills her colleague’s stomachs and keeps her millions of viewers happy. What plans does Ms Yeah have for the future? She wants to expand her fanbase and take her unusual style of gastronomy worldwide.